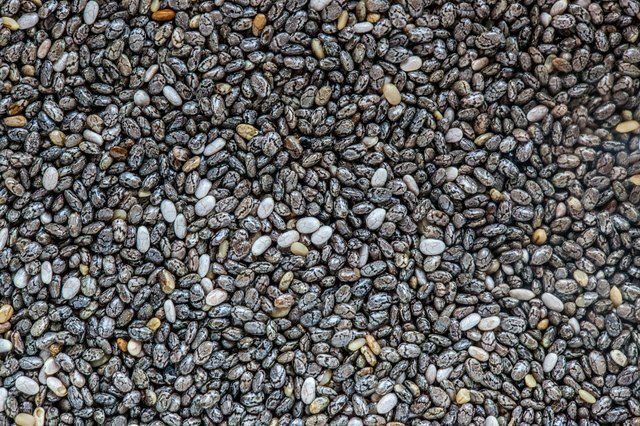 Chia seeds are a super food originating in southern Mexico. 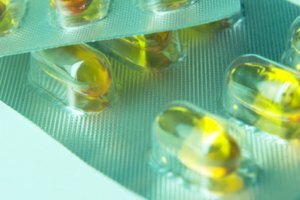 These seeds look unremarkable, until placed in water, where they turn into a gel and double in size, caused by the water-soluble fiber they contain. 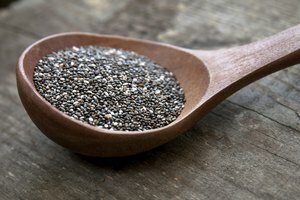 Chia seeds are vegan-friendly, gluten-free and full of minerals, according to Ricardo Ayerza Jr., an author on Chia and an associate at the University of Arizona’s Office of Arid Lands Studies program. Combine chia seeds and water in a bowl. Allow the mixture to sit in the refrigerator for 20 minutes, so the seeds can absorb the water and create a gel. This gel can be added to nearly any food to create a tasty treat. For athletes on the go, however, a quick chia seed smoothie will allow the nutrients to be absorbed quickly. Place fruit into a blender and mix for one minute or until smooth. 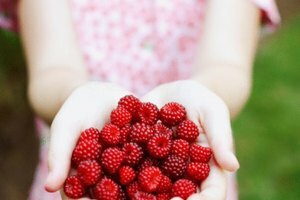 You may use any type of fruit, however sweeter tasting fruit may make the chia seeds more palatable. 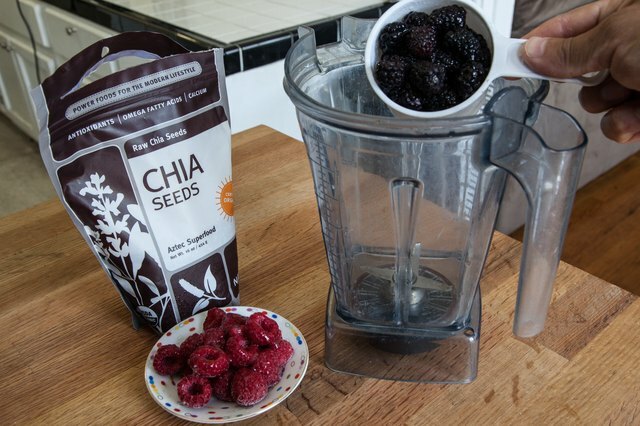 Berries and melons are great additions to a chia seed smoothie. Add yogurt to the blender and mix until the fruit and yogurt are combined well. You may need to scrape the sides of the blender occasionally to ensure it blends well. Again, any complementary flavor of yogurt will work well, as long as it is something you enjoy. 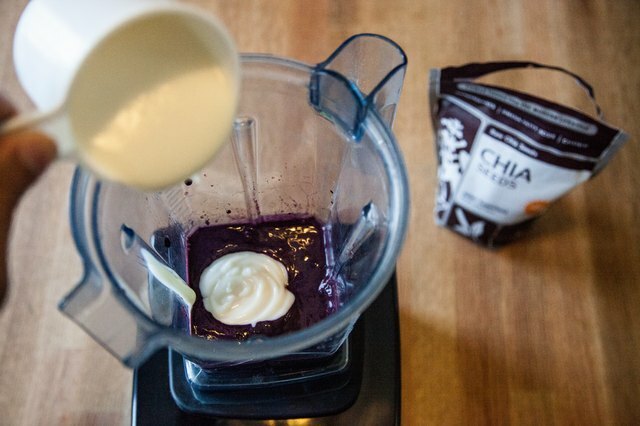 Place the chia seed gel into the blender and process for about another minute. Once it appears mixed, take a small taste to see how you like the flavor of the chia seed smoothie. Add sugar or another sweetener to taste, if necessary. Pour your chia seed smoothie into a glass, and drink it before your workout. If you have a hard time exercising on a full stomach, wait fifteen minutes after you drink the smoothie before beginning your workout. Chia seeds can be added to nearly any food. Experiment to find your favorite chia seed dishes. You may choose not to soak the seeds before eating them. If you do, be sure to drink extra water for the seeds to absorb, so you do not become dehydrated. Chia seeds are a health super food, and not intended to cure or prevent any disease. Check with your doctor to see if chia seeds are a food suitable for you to add to your diet.